A digital kiosk was installed on the sidewalk in front of the Opera House with screens on each side controlled remotely from Opera House offices. Handrails were constructed and installed along the aisles in the balcony to assist patrons in getting up and down stairs to their seats. A modern digital sound board was installed for use with many of the touring artists that perform each season. Comfortable furniture was added to the dressing rooms providing a cozy space for road-weary traveling artists and crew. Cabinets and additional storage were added to the dressing rooms. The floors were updated. 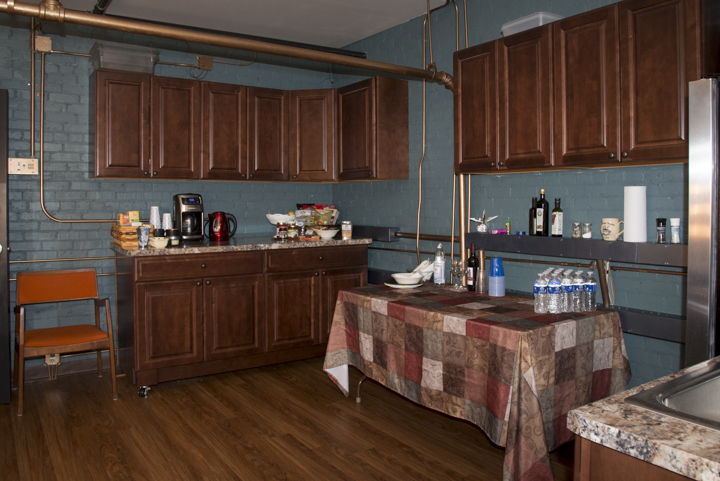 Fixtures were updated and a refrigerator was purchased for hospitality services. The historic asbestos fire curtain was refurbished and re-rigged for easy raising and lowering. Removable ramps were designed and constructed for easier loading of large equipment on and off the stage. Find out more about the Stoughton Opera House renovation.